In this election season I get tired of seeing nothing on the news but nodding, talking heads pushing out their daily journalistic distortions. I usually know what is going on, anyway, because I use the Internet to get my news from multiple sources. You can, too. See Google Reader. So, if I am not wasting my time looking at talking, bobbling heads read me distorted accounts of the news, just how am I wasting my time? 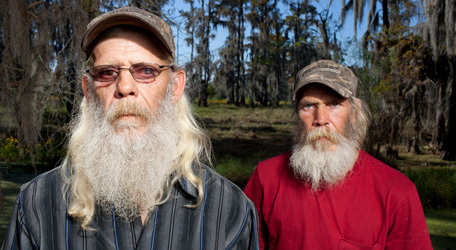 Swamp People! Yep. This is the best show on the History Channel since the first episodes of Ice Road Truckers, and the Swamp People are in more danger than the IRTguys, anyway. I would much rather drive a truck across a lake frozen with three feet of ice than to pull an alligator’s string. The most seen characters include Troy Landry, Joe LaFont, Willie Edwards R.J. Molinere, and several others with their crews. The picture at the top is of Glen and Mitchell Guist, a two-man alligator hunting team. You must have gathered by this time that the point of the show is to watch grown men schooled in the ways of the Louisiana swamp, hook, kill, and carry their catch to market. 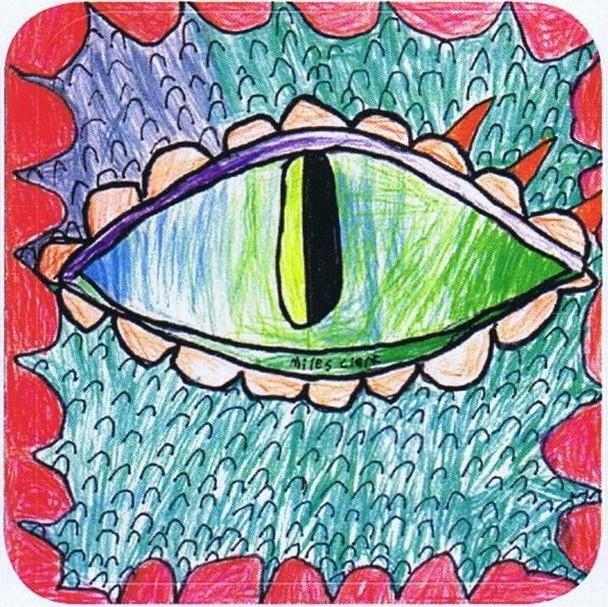 I am not sure what the price of alligators is now, but after Katrina the alligator harvest shrank to the point that the price for ‘gators hide went up to $50 per foot. That’s still not enough money for me to stick my hand in an alligator’s mouth, or to even let one get six feet from me. Come to think of it I don’t think there is enough money in the world to even get me within a hundred yards of one of the beasts. After all, on dry land they will out run a man, any day. What makes the show entertaining is not only the distinctive Cajun accents, but the way these men of the wilderness handle themselves in the wild. They know what they are doing, and understand the risks. They are for the most part poor men, and are willing to work around the clock to make their living. Some of them live off the land, a particularly interesting choice with the availability of modern-day grocery stores and other conveniences. Maybe, they have to with their meager incomes. The stories get repetitive with each crew baiting alligator hooks, checking them, and harvesting their catch with treble hooks and 22 caliber rifles. To kill the beasts, they have to shoot the ‘gator in a small area of the top of its head about as big as a quarter. If you miss and hit him in the head or back, all you’ve done is piss off an animal that wants to eat you. It can get old after a while. That’s why I am always scouting for more shows similar to this one. My new one is Storage Wars. But, that’s a different story. I’ve seen it once or twice, it’s interesting, but not addictive. Those folks are hard and brave, not like us softies. Didn’t know about these wretched trees, i’m surprised people plant them knowing the adverse effects. We don’t plant them they grow here in Georgia like weeds! I guess you have to see the crap that passes for news on the networks. 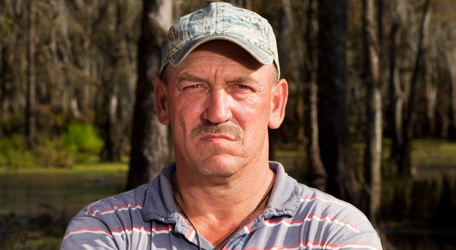 That alone makes me enjoy that Swamp People stuff, even though it is sort of a brainless reality show. Thanks for commenting, MK.